Complexity and Contradiction in Architecture is not an easy book, or so we were told by Vincent Scully in the introduction to Robert Venturi’s seminal 1966 publication. The book’s release is the stuff of modern architectural mythology. When initially published, Venturi’s text signified a daring step away from modern orthodoxy. It encouraged the design community to actively participate in broad architectural discourse, to treat the past as prologue rather than discarding it as merely vestigial. The book was loathed by many. Treated as critical contraband, it was seen as incendiary and vulgar, and was perceived to be a jab to the prevailing momentum of Western architectural progress. However, to a small fraction of midcentury architects, the book was a welcome embrace of architectural inheritance. It was a permissive, if soft, manifesto allowing designers to stretch out, to embrace a messy and nonlinear practice, to get a little weird. Frederick Fisher and Stephen Harby proudly identify with Team Venturi. 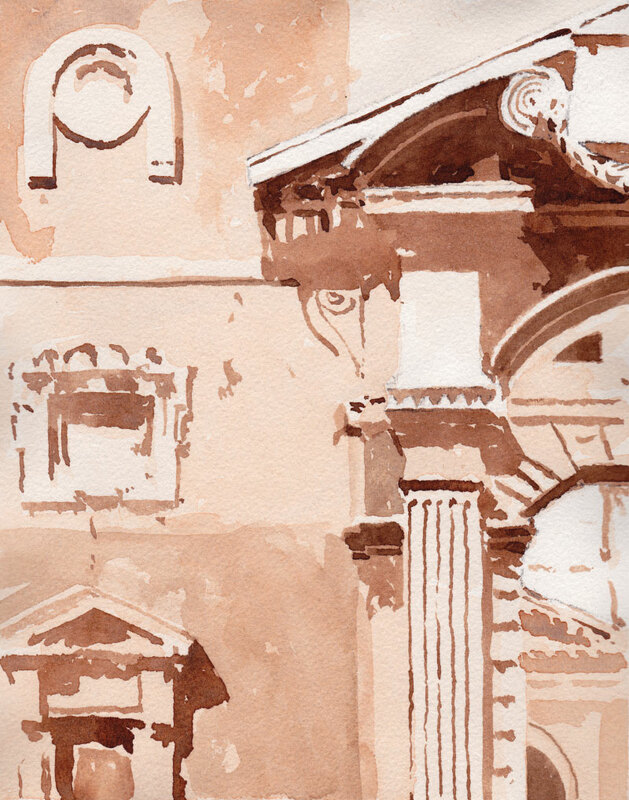 The first pages of Robert Venturi’s Rome, to which both contribute text and watercolor illustration, celebrate the profound influence Complexity and Contradiction had on the way they practice, teach, and understand the built environment. Reading the book as students proved to be a shared watershed moment. Fisher immediately shifted focus from art and art history to architecture, and has worked in Rome as both an architect and Rome Prize Fellow. Harby received the book from Vincent Scully in a fateful transaction that led to a Rome Prize Fellowship and a recurring teaching position in the Eternal City. Robert Venturi’s Rome is ostensibly a travel book for the architecturally inclined, exploring some, though not all, of the Roman sites referenced in Complexity and Contradiction. Fisher and Harby “propose to take the reader on a journey through time and ideas by visiting and discussing nearly thirty Roman places that exemplify Venturi’s revolutionary ideas,” and they use the Complexity and Contradiction table of contents, and supplemental quotes from the original text, as a framework for ten short tours. Harby and Fisher have reproduced details both large and small. Unsurprisingly, by pairing buildings and urban spaces with the tenets of Venturi’s work, including “ambiguity,” “contradiction” (both “adapted” and “juxtaposed”), and the “double-functioning element,” Robert Venturi’s Rome is quickly revealed to be more complex, and yes, more contradictory, than a standard travel guide of the Fodor’s or Rick Steves variety. 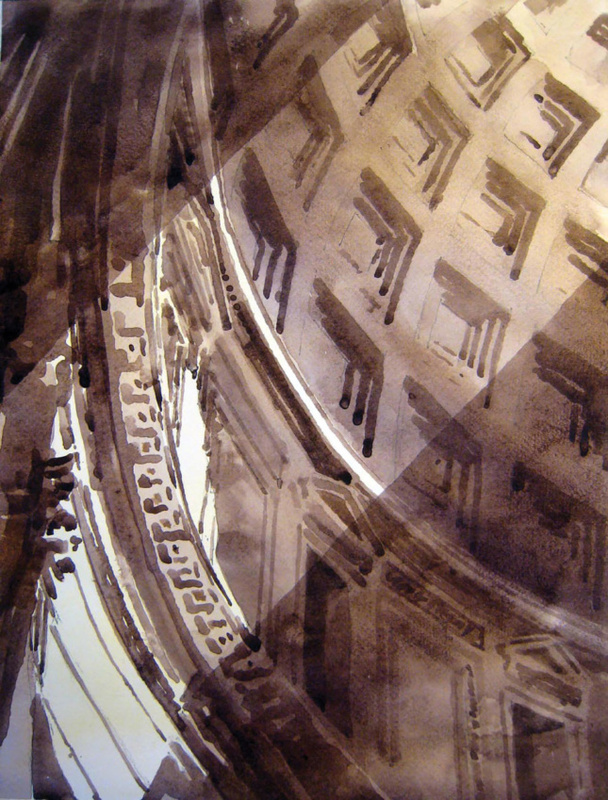 Fisher and Harby pragmatically outline locations and hours of operation, but eschew detailed photography for their own watercolor illustrations. The images of buildings, architectural elements, and plans are gorgeous, lovingly rendered and evocative, but leave details to be examined solely by text. Accordingly, the text often carries an unevenly distributed burden. Venturi populated Complexity and Contradiction in Architecture with more than 250 images, mixing architectural photographs and drawings with mannerist and abstract paintings, an approach that buttressed his criticism and apologia. Conversely, Fisher and Harby are successful when describing formally familiar work, like the Pantheon or Casa Girasole, but struggle when examining complicated baroque spaces, like Francesco Borromini’s San Carlo alle Quattro Fontane. Vacillating between highlight reel and inside baseball, the tone of the book is inconsistent. 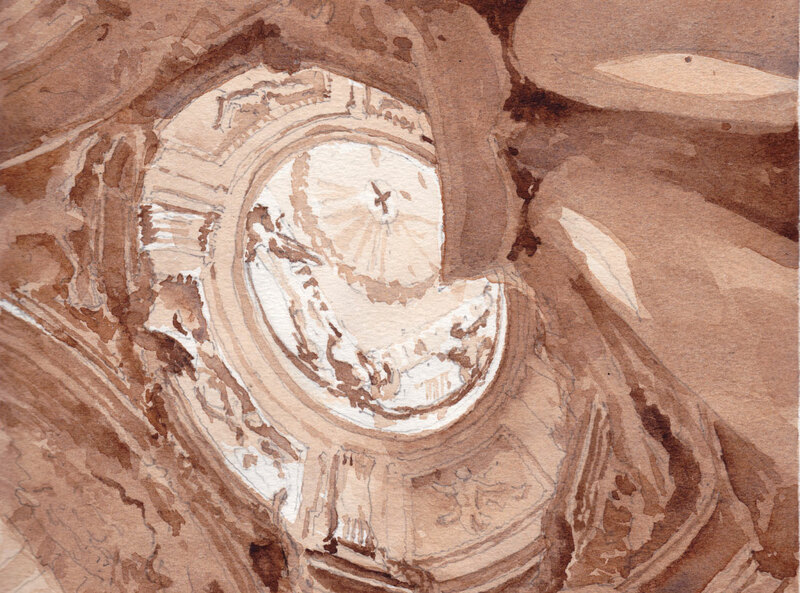 It is simultaneously a travelogue for the architecturally curious and a series of esoteric incantations relying on the erudition of the reader to spot the sly relationship between Fisher and Harby’s text and Venturi’s design exegesis. By design or otherwise, the publication of Robert Venturi’s Rome feels timely and in keeping with a broader revivalist spirit currently underway. It fits easily with the recent Ettore Sottsass show at the Met Breuer, the successful effort to designate Kevin Roche and John Dinkeloo’s Ambassador Grill as a New York City landmark, and the recognition of the glass pyramid–topped Musée Louvre renovation with an AIA 25-year award. Still, it takes a unique kind of architectural navel gazer to appreciate the meta-narrative of a book about a book by an architect designing buildings about architecture. Scully suggested that Complexity and Contradiction might shift our professional perspective from the Champs d’Elysées to Main Street. 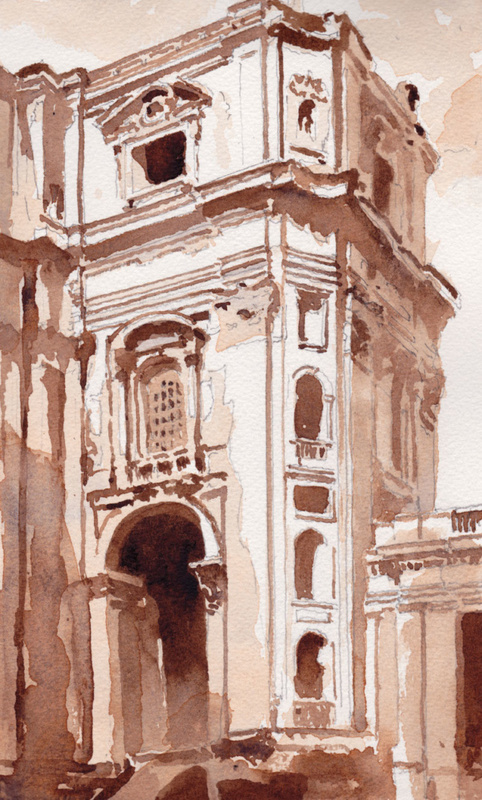 Through thoughtful analysis and vivid illustration, Fisher and Harby remind us that Rome is a complex city of interwoven Main Streets populated by both historic exemplars and idiosyncratic oddities. Robert Venturi’s Rome “evokes many levels of meaning and combinations of focus,” write the authors. “Its space and its elements become readable and workable in several ways at once.” Coincidentally, so does Robert Venturi’s Rome. Brian Newman is an architect and university campus planner and has taught at Washington University in St. Louis.